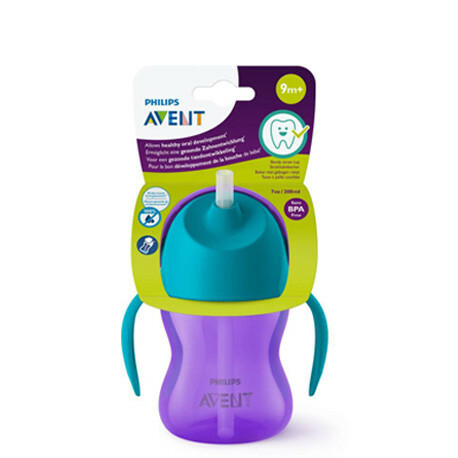 Philips Avent is very comfortable for your child to sip fluids from, which makes it very convenient to carry on outdoor trips and even to sip juices at home. Philips Avent straw Cup is ideal for your little one’s first sips from a straw and allows healthy oral development. making it easy for little hands to hold. It is easy to assemble and clean, dishwasher safe and BPA free materials.The cup comes with a with a 100% Leak-proof straw sippy cup. Philips straw cup has a dentist recommended design that lets your baby exercise mouth muscles and build oral strength.The sipper is designed with an interesting pattern that makes it very attractive for your child.